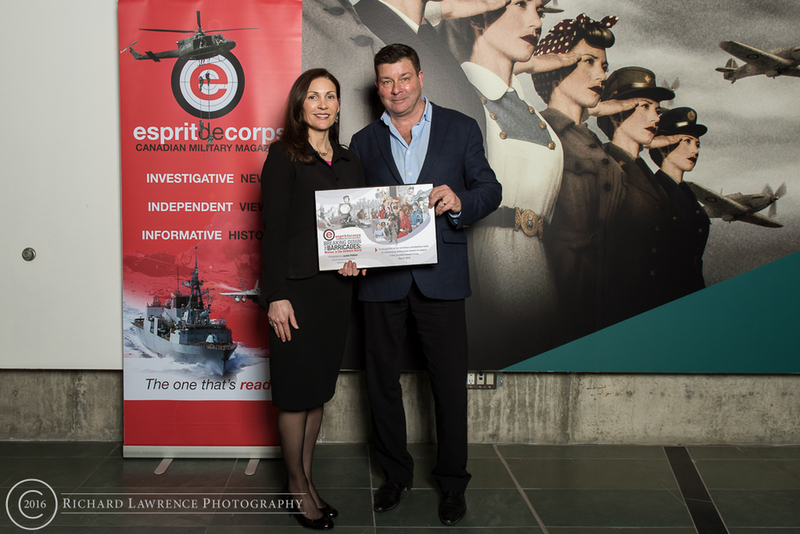 On Thursday 10 March, Esprit de Corps hosted a luncheon at the Canadian War Museum for the Ottawa-based "Women in Defence' as profiled in our current edition, special feature: Breaking down the Barricades. 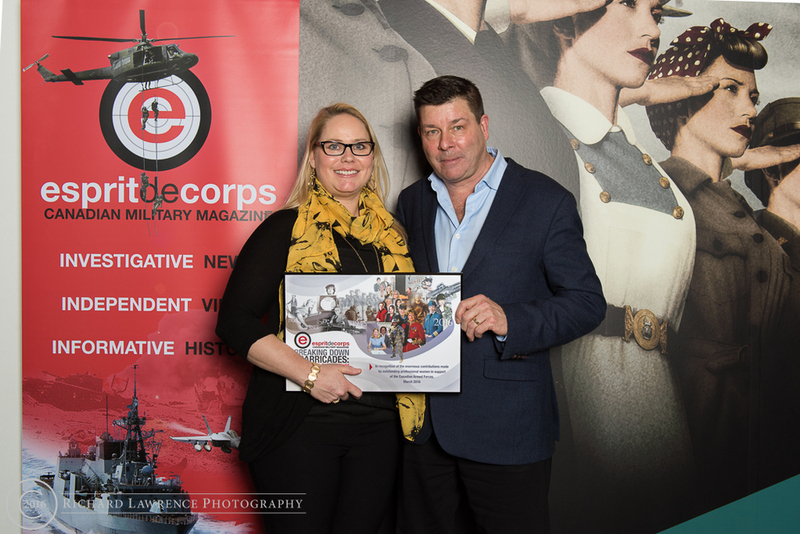 A total of ten recipients were on hand (from the 21 women in total who made this year's list) to receive their commemorative plaques from Esprit de Corps publisher Scott Taylor. 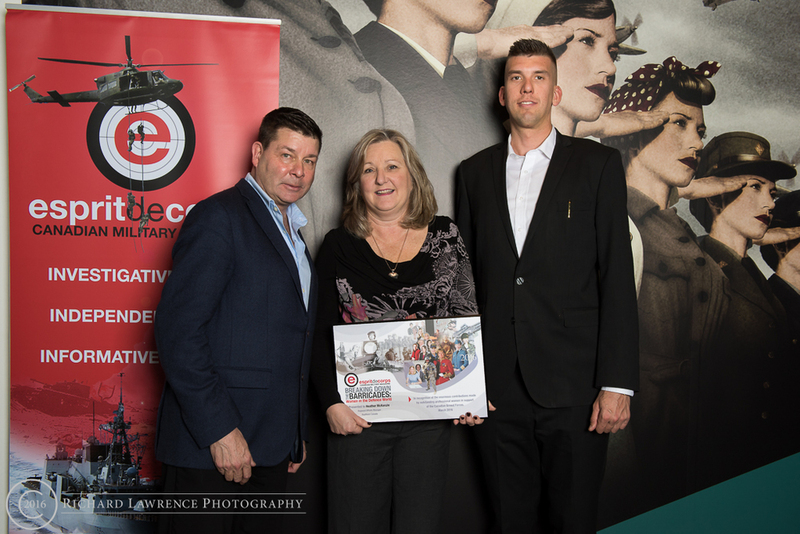 Also attending (on behalf of Army Commander LGen Marquis Hainse) was Colonel Derek Basinger. It is worth noting that three of this year's selected women were nominated through Army Headquarters. 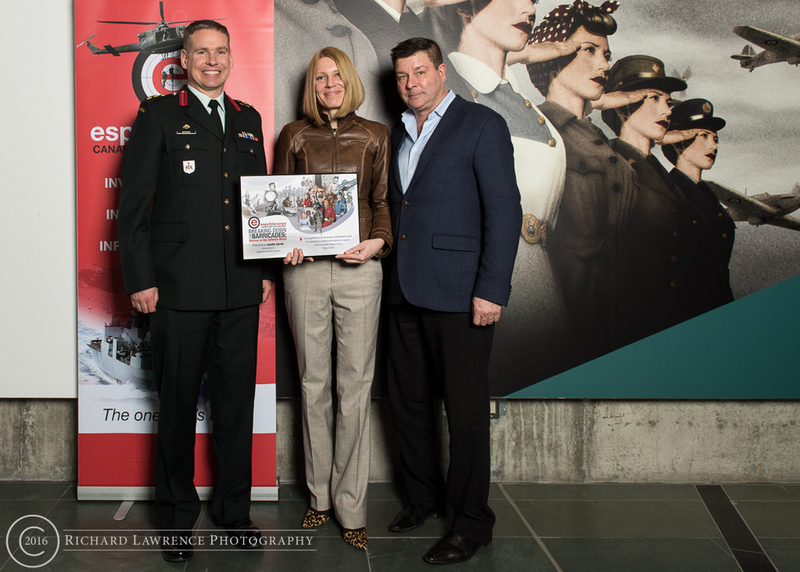 The backdrop for the photo shoot was fittingly the 'World War Women' exhibit, which runs until 3 April at the CWM. 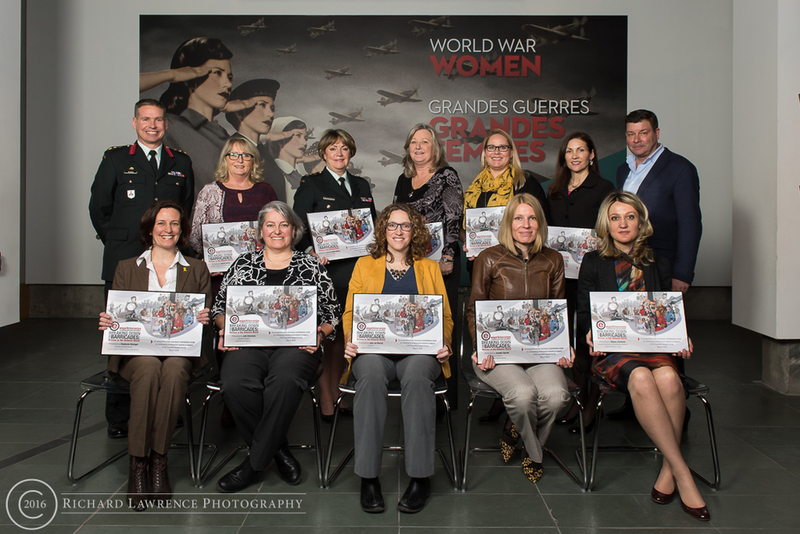 The ten recipients in attendance were; LCol Fran Chilton-MacKay, MCpl (ret'd) Alannah Gilmore (Afghanistan Veteran), Jackie Pothier (DEW Engineering), Stephanie Belanger (CIMVHR), Biljana Jovanovich (Pratt & Whitney Canada), Jennifer Garrett (DND), Sandy Lecour (L-3 Comms), Heather McKenzie (Raytheon Canada), Jana Lee Murray (WIDS Canada), and Esprit de Corps own manager, Julie Simoneau.